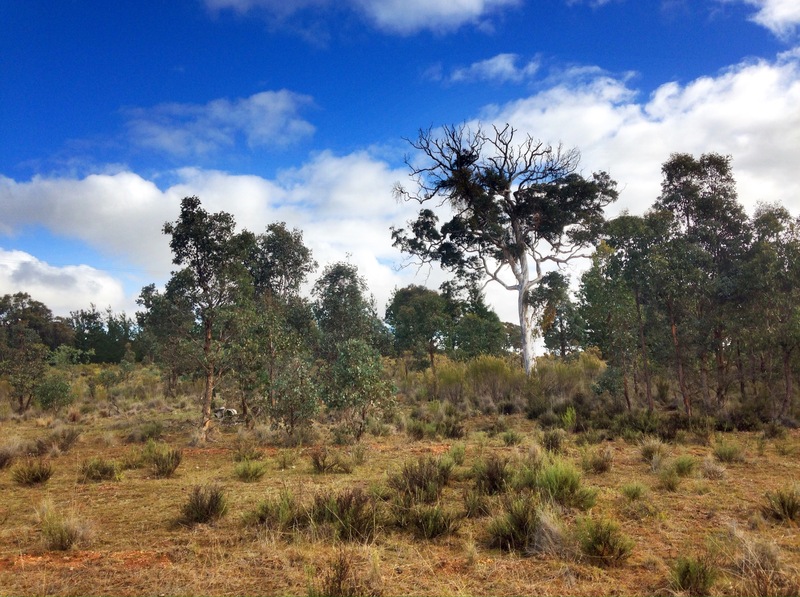 One of the legacies of buying a block that has previously been cleared for grazing is that many of the remnant trees are heavily laden with mistletoe. 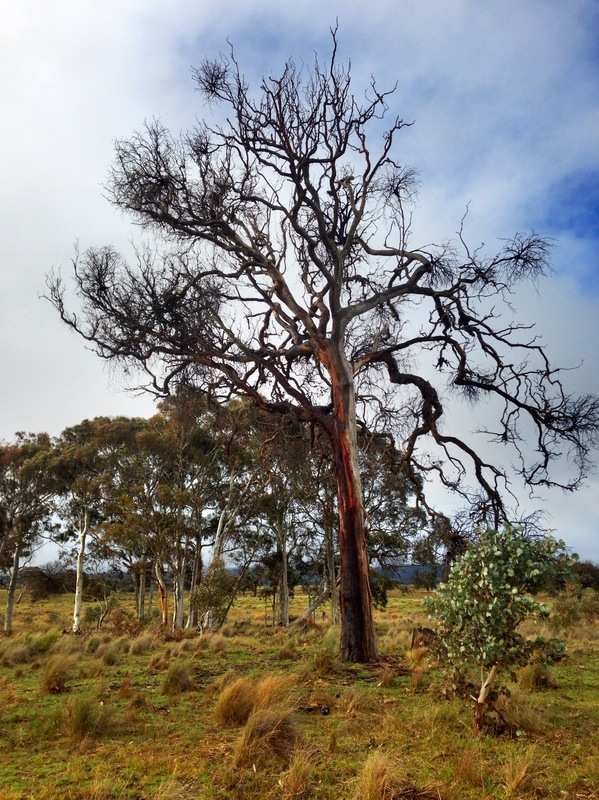 Mistletoe is a parasitic plant that has a bad reputation however is a fascinating part of the Australian ecosystem. Mistletoe’s bad name originated because too many mistletoe on a tree will eventually kill it. The problem is not having too many mistletoe but of not having enough trees! 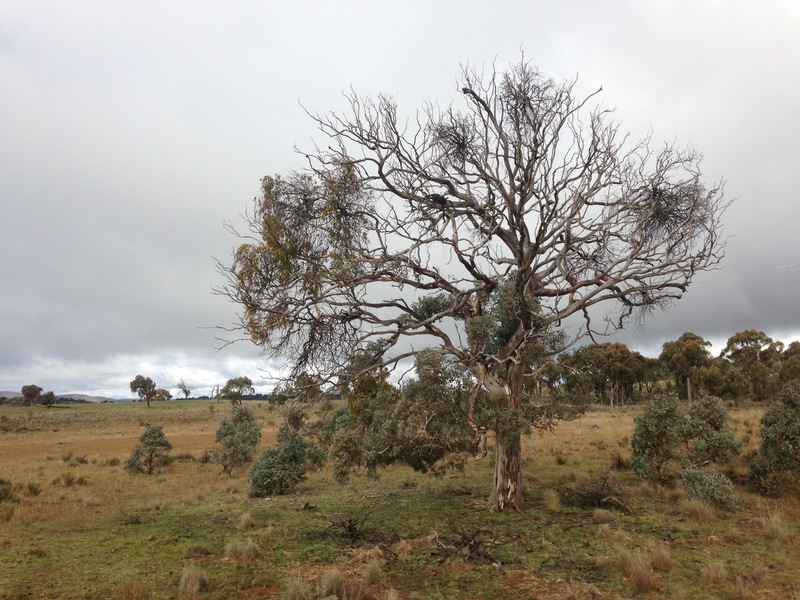 When you delve a little deeper, Mistletoe play an extremely important role in not just providing food and refuge for birds, but also for improving soil health too. There are around 90 species of Australian Mistletoe. Australian Mistletoe has evolved with the Mistletoebird (Dicaeum hirundinaceum), which feeds almost exclusively on its fruit. The fruit is decidedly sticky, and passes through the bird quickly. The bird has to rub its backside against a branch in order to remove the seed from its cloaca. This usually happens to be in an ideal spot for the Mistletoe to grow – typically a nice sunny place with a good outlook. And it guarantees a good supply of food for the bird. The fruit of the mistletoe is an important Aboriginal food. Commonly called Snotty Gobble, the fruit is a sweet, sticky treat that looks exactly as it sounds. You split the seed out of its pod, and eat the inside. It is extremely sticky – which explains how the seed can be deposited by the bird in the most ideal place for germination. The Mistletoe sheds its leaves prolifically. Unlike the host trees, which hang on to their leaves and thus nutrients as much as they can, the Mistletoe is far more likely to drop its leaves. This creates areas of much richer nutrient under the tree. 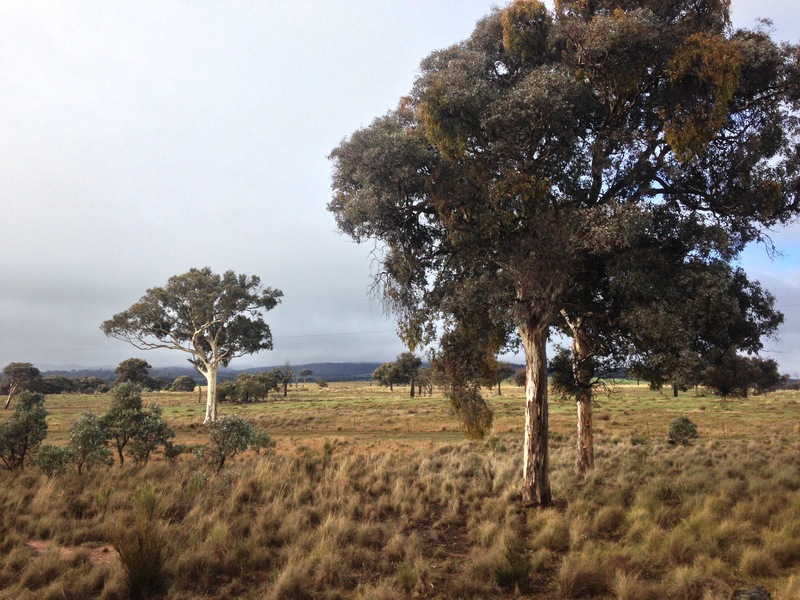 In this photo, you can see the greener grass under the tree – largely as a result of the extra nutrient from the Mistletoe. 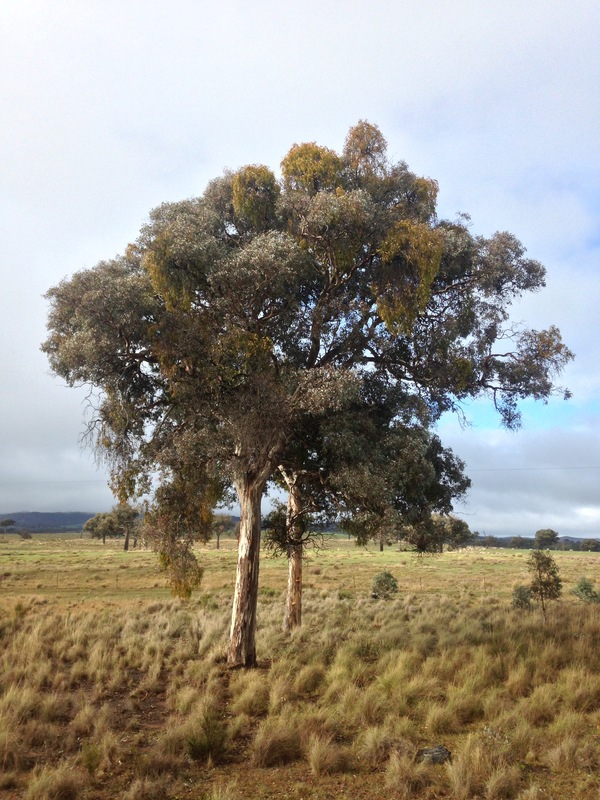 The Mistletoe is an important contributor to soil health. But eventually too much Mistletoe will choke the tree. This Red Box tree has only one branch that is still alive. I have considered lopping the dead part from the tree, but it would require me to climb the tree and lop the majority of the crown from the tree – far beyond my capabilities with a saw. Instead my strategy is to encourage the younger trees to grow. This will ensure that there are plenty of host trees for the Mistletoe to grow in. By encouraging many trees to grow, the Mistletoe will be spread among the trees, and won’t overwhelm any single tree. As I mentioned earlier, the problem isn’t too much Mistletoe, it is too few trees! 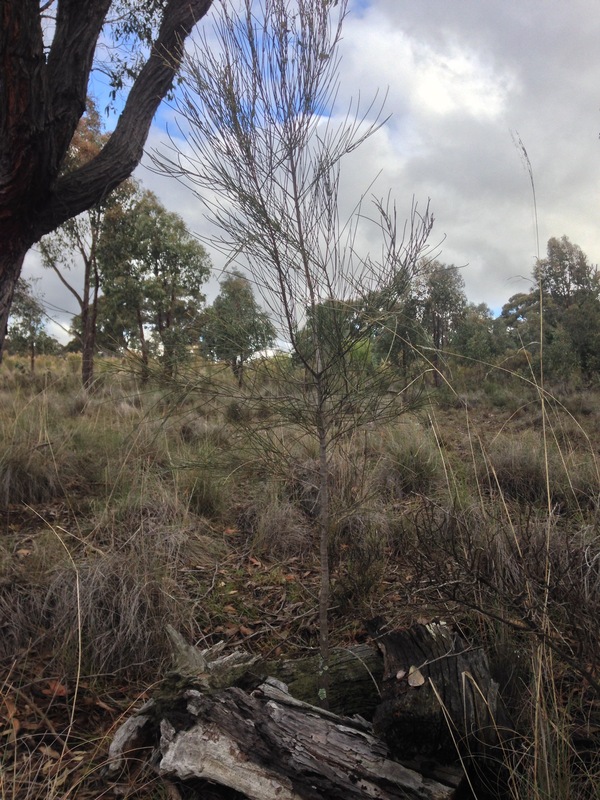 The other neat thing I found today was our fourth Drooping Sheoak on the Rock Farm (allocasuarina verticillata). This amazing tree has its own story that I will share soon. I must thank our friend Amber for her insights into the secret life of Mistletoe. Her knowledge of all native plants is truly encyclopaedic. 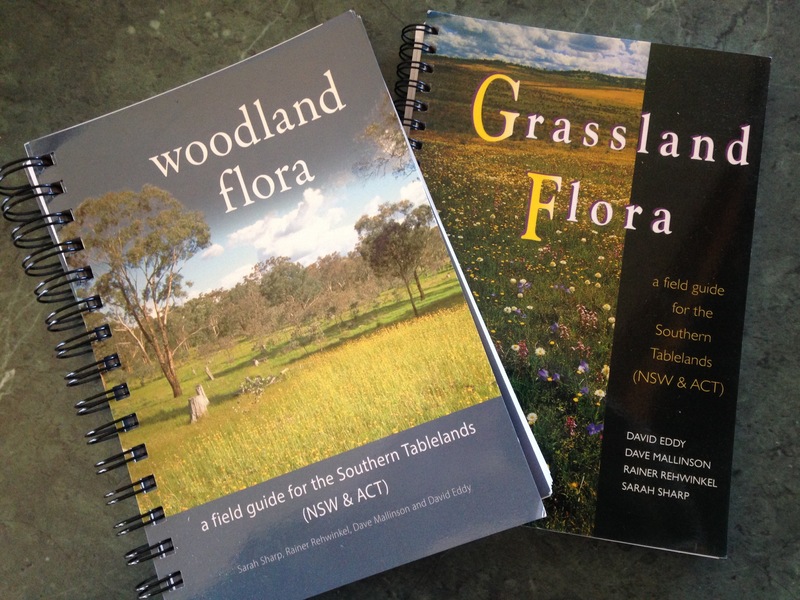 There are also a couple of really neat books that have helped me discover the amazing diversity in the plants on the Rock Farm.